Twenty years ago this year, Jars of Clay made their debut in music with their independent project, Frail. Little did they know that album would pave the road for their self-titled release a year later that would catapult them to stardom. 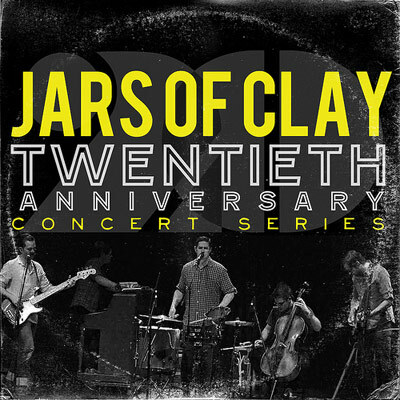 To commemorate 20 years of music-making, and their latest release Inland, Jars of Clay is planning a few special performances--online and also one in their home studio--as well as special online performance videos. When the bitter cold Winter weather hit Nashville last month, we decided to spend a day inside making new videos for you. We recorded the whole of our INLAND album in our stripped down "StageIt set-up" and will be sharing these with you over the next several months. Please let us know what you think of these. The first one we have to share is our "Reckless Forgiver" video. For more info on Jars of Clay visit the JFH Artists Database.